The relationships between clients and caregivers can greatly impact the comfort and well-being of seniors. But it may also become a source of stress if you feel apprehensive about having a stranger come into your home. 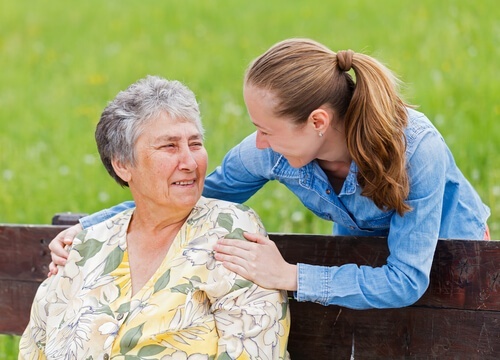 Beginning a relationship with a home caregiver can be uncomfortable at first, but many families find that over time they and their senior loved ones come to depend on their caregivers not only for assistance with physical needs but also for companionship and encouragement. Inviting someone into your home as a caregiver is a big step. It usually happens when there has been an injury, illness, or change in a person’s physical or mental ability. For that reason, the presence of a caregiver can be an uncomfortable reminder of the changes you see in your loved one. For seniors, it can highlight the fact that they can’t do what they used to anymore, and some may feel vulnerable or anxious. Mental Well-being—Depression as a result of social isolation contributes to health decline in seniors. Caregivers support mental well-being by providing essential interaction and mental stimulation for your loved one. Companionship—Having someone to talk to or interact with can make all the difference in your senior family member’s daily experience. Companionship is a key component of caregiving, especially when a person can no longer get out of the house as often as they used to. Peace of Mind—Caregivers give you peace of mind that your loved one can enjoy their golden years with dignity. 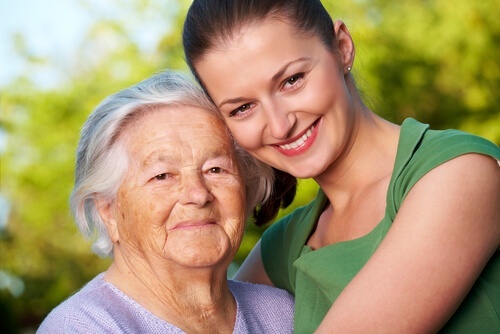 When you know your mom or dad enjoys the company of the caregiver, you can also rest assured that they feel comfortable and secure. Define needs and communicate expectations—Acknowledge that there will be a learning curve for all parties, so make this process as easy as possible by clearly and calmly communicating what you expect. Give caregivers and family members all the information they need to be successful. Be straightforward—If there are things you don’t want to discuss or areas of your home that are off-limits, say so. Be clear and upfront about what you expect so there won’t be any accidental boundary crossing. Learn to ask for help—Both caregivers and family members should be comfortable asking for help from others. For example, if you would like to change the way the caregiver does something or add a new task to the list, ask directly and calmly. Caregivers should also feel comfortable asking for help understanding your lifestyle or learning the preferences of your senior loved one. Be patient—Seniors sometimes have difficulty communicating their needs or preferences, so be patient as you learn their habits and needs. Stay calm—Emotionally charged situations such as recovering from a surgery or adjusting to a loss of mobility can quickly escalate to frustration. Caregivers can help diffuse tension by having a calm demeanor and not allowing themselves to become frustrated in response. Ask questions—Ask about needs and concerns rather than making assumptions. People always feel more comfortable when you treat them with dignity by asking before stepping into their personal space or drawing conclusions about their needs. Listen actively—Listen to the individual, even if they seem to be rambling or can’t express themselves well. Showing compassion includes taking the time to make the person feel heard. You can communicate interest by making eye contact and smiling as you listen. Participate in activities—If the patient has particular interests, take time to learn about them. Consider reading aloud, playing games the person enjoys, or playing music from the era in which they grew up,. If you or your senior loved one needs assistance in your home, let us help you find a professional caregiver you trust. We emphasize compassionate, quality care based on the unique needs of each family and patient. Call us today to find out how you can take the next step.